Dealers want more transparency and trust in the market, so an increasing number of cars are being priced at market value from the outset. However, there may still be times when you need to negotiate. The used car market is changing, and the days of having to negotiate a car’s price are numbered. Dealers want more transparency and trust in the market, so many – and particularly those on our website – are moving towards a no-negotiation position by pricing their cars to the market value from the word go. There may well be no need for negotiation at all. That said, this isn’t yet a universal position, so it’s still important to do your research. Make sure you know how much the car you want to buy should cost. If you can find similar cars being advertised, don’t be ashamed of taking a printout of an advert for the same car that’s cheaper (bearing in mind age, mileage and spec). This can help work in your favour when sealing the deal with the seller. If there are only a few examples of the car you’re after on sale, use a valuation tool like Auto Trader’s free service, to look up how much the type of car you’re after is worth. Also, don’t forget to do the same with any car you're selling. After all, there’s no point saving loads on the new car if you’re short-changed on the other half of the deal. As with the car you’re buying, use our free valuation tool before you start any negotiation, no matter who you're dealing with. If you're selling to a private buyer, the 'Private' price will allow you to assess any offer you receive. If you're part-exchanging, use the (lower) 'Part-Exchange' price. Then, when you’re looking through the adverts on our site, look for adverts from dealers who have the part-exchange box in the right-hand column. 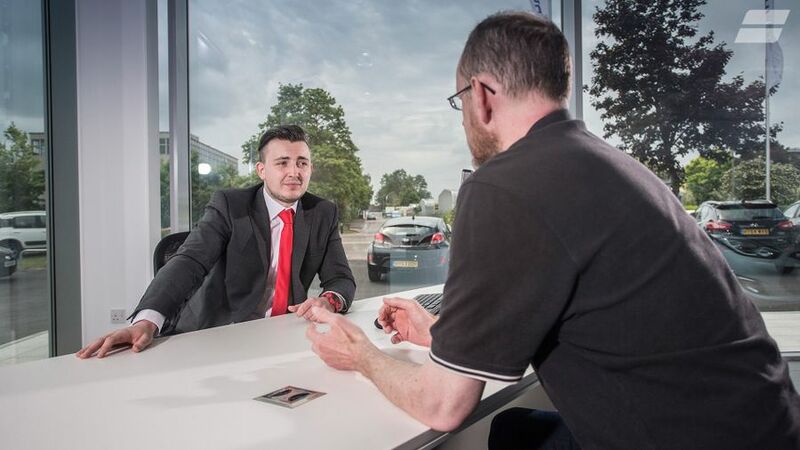 Those dealers are working with Auto Trader to promote trust and transparency in the used car market, and when a customer clicks in that box, the same valuation is sent to both you and the dealer. That means both sides will start any conversation about a part-exchange value from the same point. And if you do need to negotiate? If you’re not getting the deal you want, simply get up and walk away.